5+ Restaurant Business Insurance, Agreement, Reservations, Order Forms and etc. Restaurants have been the places to go for grabbing a meal instead of heading straight and cook to the kitchen. Various food preferences are available on different menus made by exclusive chefs. These restaurants are distinguished in categories from their cuisines, styles, speed of services, themes, age, and quality. Before anyone can open up a restaurant business, an individual should be able to know the kinds of documents that he will need to face the food service industry. These documents include Restaurant Business Forms such as Restaurant Order Forms and other restaurant-related documents. One of the vital documents for starting a restaurant is to have a Restaurant Insurance Application Form. This form is essential to protect the business from future penalties and lawsuits when unexpected incidents or accidents will occur. For specific purposes, the restaurant owner may also consider attaining a several Insurance Policies for his business such as a Property Insurance and a Liability Insurance Form. The Property Insurance will deal with insurance coverage in events of fires and property damages while the latter may include a coverage for protecting the restaurant for instances of having drunkards and food contamination within the premises. When dealing with a business, a businessman does not simply engage himself for the payments and fees, then head directly to making an enterprise. The first step that he must take is to hire a consultant and listen to every lesson he can provide. A Restaurant Consultation Agreement Form is the document for this type of service. Though this is not for the customers of the dining area or the staff, this is to assure that a restaurant business will acquire success as it opens. 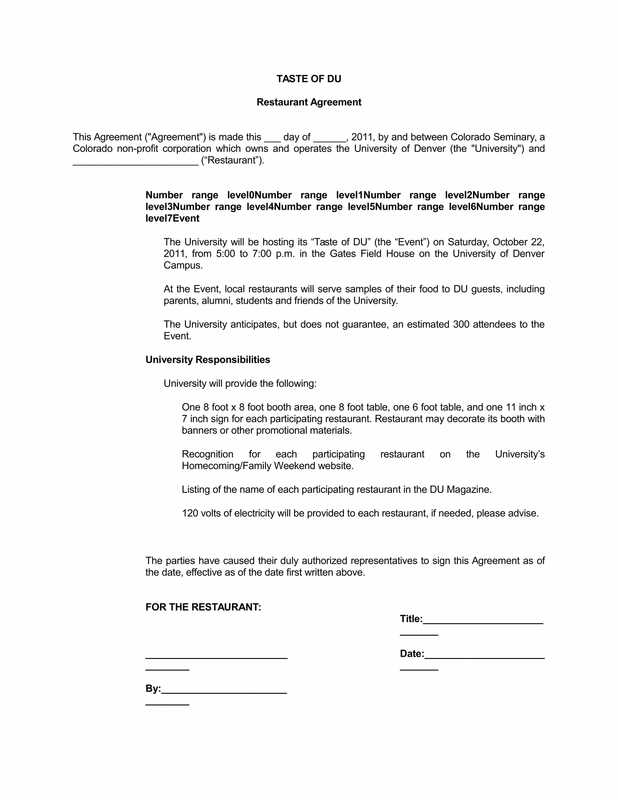 The parties to be involved in this Contract Agreement Form will be the restaurant owner and the hired consultant who lays the terms and fees of the consultation services. 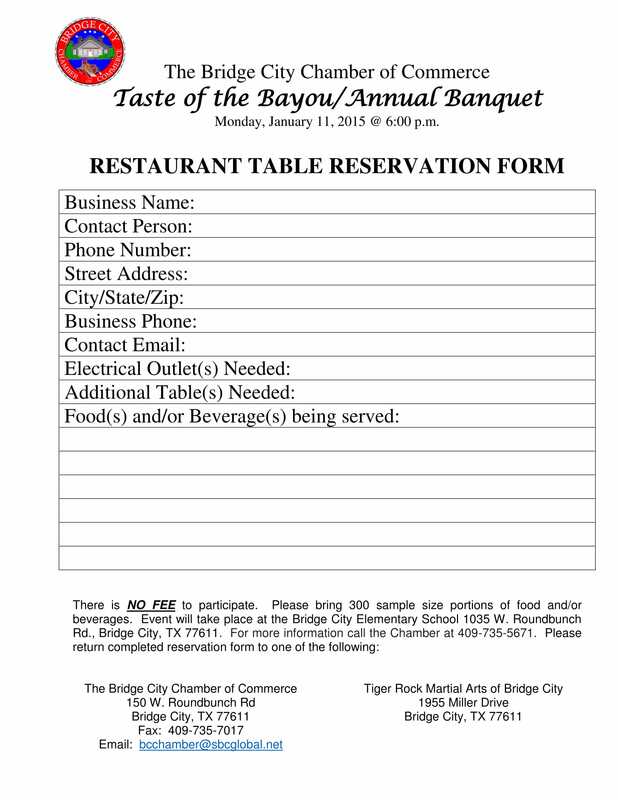 Another document needed by a restaurant owner is a Restaurant Reservation Form. The main purpose of this form is to neatly organize and schedule the table reservations of every client. It has the names of the clients, with the number of seats to be reserved, the food and beverages to be provided, and the deposit as an initial payment for the reservation fee. Some restaurants allow a reservation for the whole property within a number of hours or a day. With this, an indication for which area of the restaurant to be reserved should be stated on the form, whether it is on the rooftop or at a private lounge. After a reservation was made, Restaurant Order Forms will be used to ask the preferences and to outline the food requests of the customer. This type of document does not have a definite size since it truly depends on the management and the convenience of the staff. The form will have the type of food, quantity of orders, additional requests, and the amount to be paid by the customer. 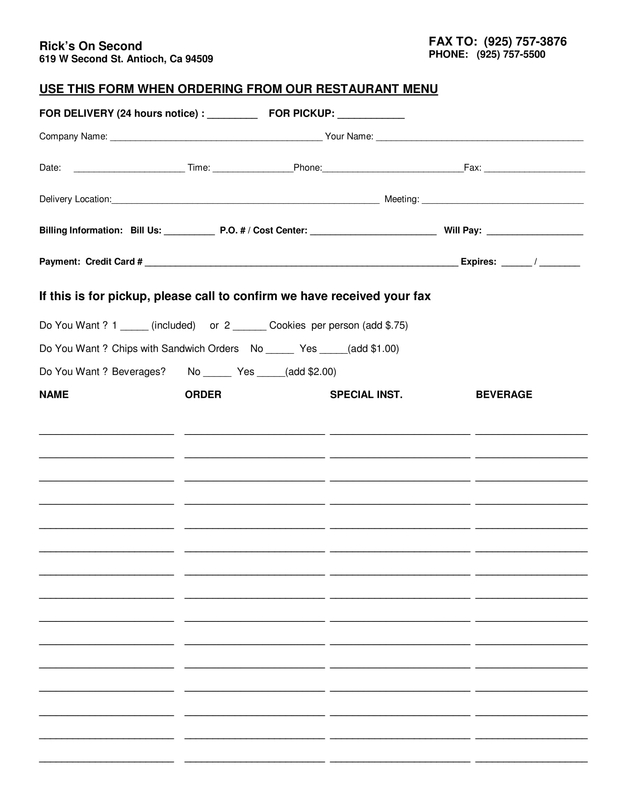 The Order Form is commonly used by restaurant staffs in taking orders from the customer, however, this form can also be used for requesting food supplies from the restaurant suppliers. Specifically, a Food Requisition Form should be completed by the restaurant management and send it to their suppliers as an order that they are in need for the stated recipes. When the orders have been granted and the customers have consumed their sumptuous meals, it is the right moment to ask for a feedback with regards to their experiences in the restaurant. 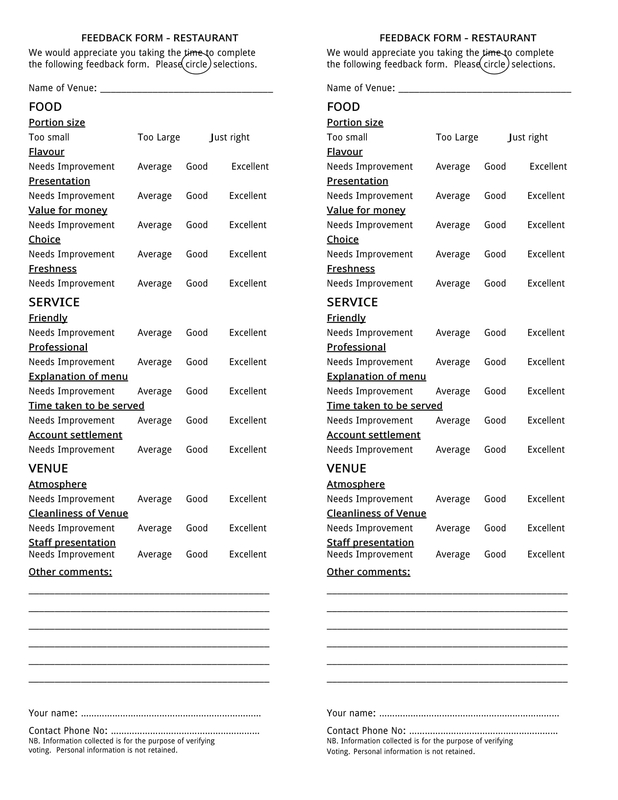 A Restaurant Feedback Form will require the customer to rate the menu, services, venue, and the overall presentation of the restaurant. However, a polite and kind gesture should be observed when giving the Feedback Form to any customer since not all are willing to spend time with this process. 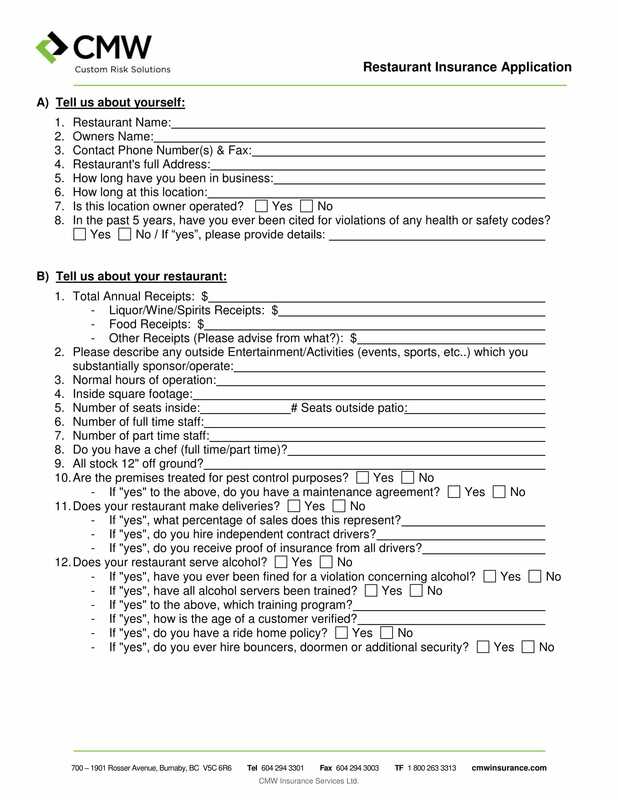 This form can also be posted online on the website of the restaurant to allow anyone to send their comments and suggestions even when they have already been out of the premises. Lastly, it is important for the restaurant owner to know if he is making progress and attaining success with his business. This will require the use of a Restaurant Income Statement Form. 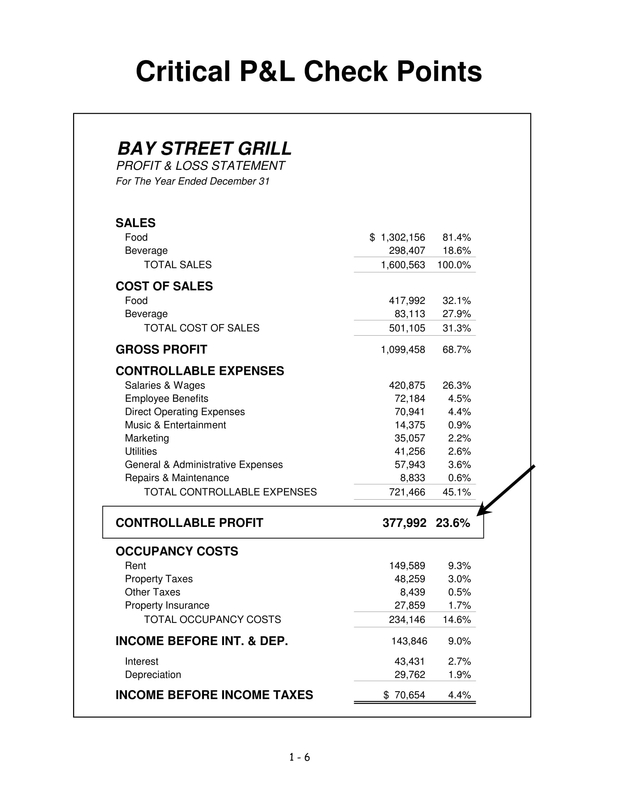 It is a type of Financial Statement that focuses on the income and the expenditures of the restaurant for a specified time-period, whether monthly or an annual basis. This form will have the breakdown of the restaurant’s expenses which includes the costs of goods, utilities, employee salaries, and even depreciation. Make sure that you have clearly stated the type of insurance coverage that will aid your restaurant’s life. Consider doing a follow up of your client’s reservations by sending them a Confirmation Form a few days before the reserved date. Instruct your staff on how to fill out an Order Form and what possible abbreviations to use in easing up the process of writing the client’s orders. As you hire a consultant, ask for a presentation of his Professional Licenses or documents that will prove that he is a legal and worthy consultant. In your feedback form, allocate an ample amount of space for the client’s comments and suggestions at the very last area of the document. File your Income Statements before the filing due dates of your State to avoid penalties and fees of a possible violation. Owning a restaurant is one of the most known dreams of the population. And in this generation, fast food restaurants have dominated the world regardless of the numerous documents which are required for this business. To ease up your process in crafting these forms, simply search your needed paperwork on our site and download them. The forms are simple, timely, and light when it comes to storage matters. In whatever way that you will decide to format your form, always remember that it is your staffs’ and customers’ convenience that counts.